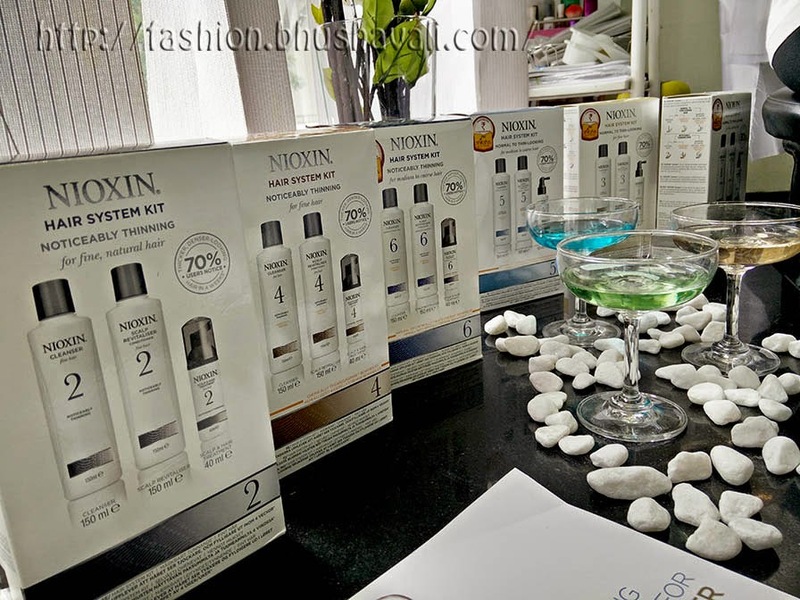 Recently Nioxin, a US based hair care brand was launched in India. The launch in Chennai happened at Bounce Salon at Nungambakkam. The story behind Nioxin is interesting. 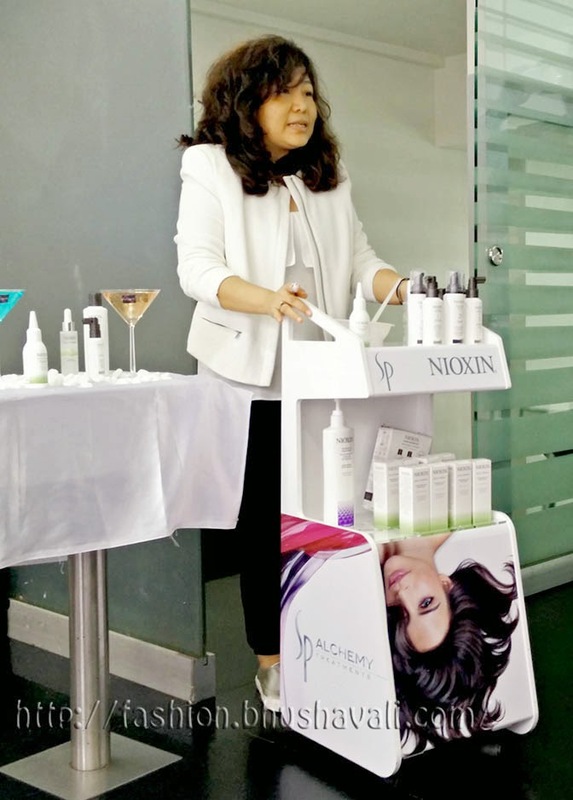 Ms.Eva Graham the founder, experienced a lotta post partum hair fall and when nothing else helped her, she decided to create her own hair care products and Nioxin was born, soon after her baby!!! Now for about 25 yrs they are specializing in thinning hair! 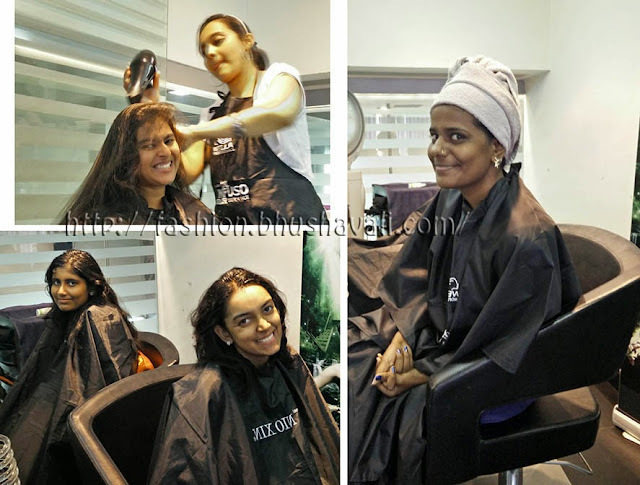 The concept of the brand is simple - Healthy scalp means healthy hair. Scalp is an extension of facial hair. So just like how you do as CTM for face, do the same for hair! 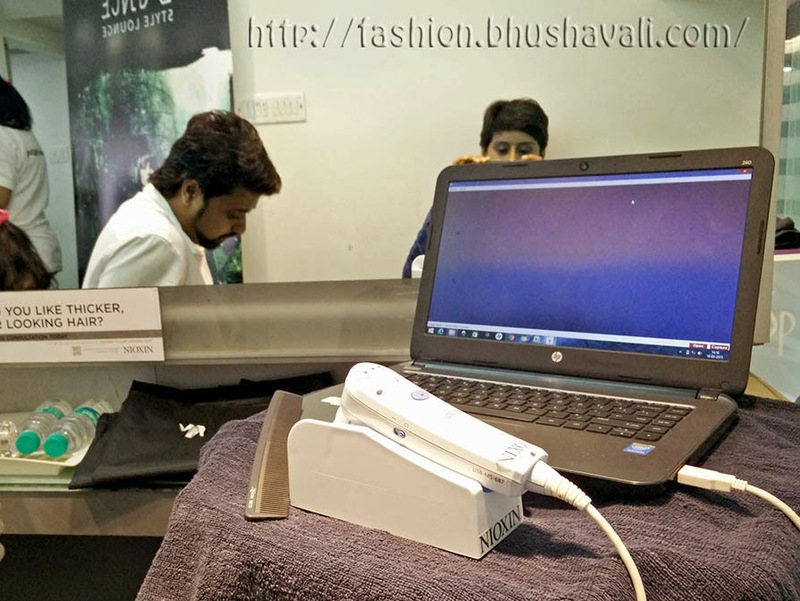 Hair has 3Ds according to them - Derma, Density and Diameter. So to keep these 3Ds healthy they have 6 technologies - Bioamp, Smoothplex, Activ Renewal, Glyco Shield, Treansactive delivery system, Scalp access delivery system. And these 6 technologies are mixed and matched in their 6 versions of hair treatment. Systems 1, 3, 5 are for normal to thin looking hair & 2, 4, 6 are for noticeably thinning hair. 1, 2 are for regular, 3, 4 are for colored / treated & 5, 6 are for coarse / rough hair. Whoever has watched Band Baaja Bride programme of NDTV Goodtimes, would remember when the brides' hair checkup happens, a close up camera that's taken to the scalp and zooms every hair strand and shows on the computer monitor and that usually scares the hell outta me. I always thought, if my hair was analyzed like that, either myself of the consultant would get a heart attack looking at my hair's condition. This fear came to life here!!!! My hair was analyzed and I saw my scalp up & close. But good news - neither of us got that heart attack. The consultant said my hair was fine which it has always been, but both scalp & hair were healthy. Since I've not colored or treated my hair, the Nioxin system 1 was prescribed for me. Apart from this there are 2 in-salon products - Scalp Renew and Hair Masque. 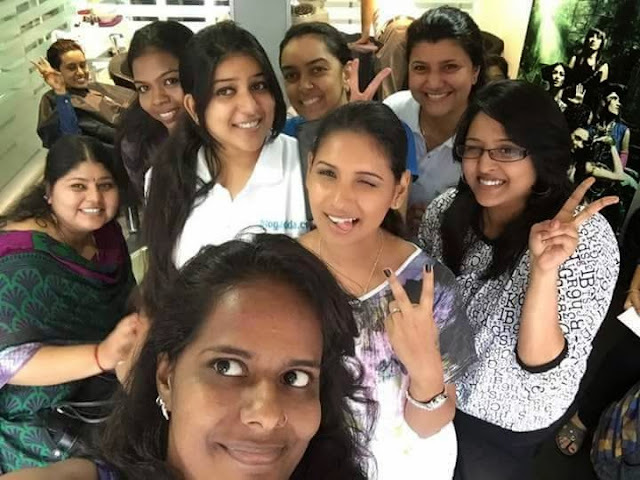 Now back to the first para of this post, why was I talking about Dermabrasion. Scalp Renew is an in-salon dermabrasion treatment with which they gave me an hair spa with as well. I was expecting a derma roller with micro needles on my head, like the original dermabrasion that Angelina Jolie did, but gladly that didn't happen! It was more like an enhanced scrub which the beauticians massaged with their finger, not needles!!! This is recommended only once in 45 days. After that came shampooing & conditioning. Haven't I always stated my love for menthol (here, here and here)? This has a lotta it! After shampooing my hair was chill! After conditioning it was chiller!! The chillness may have been maximized coz my scalp was abraded!!! It was chilllllllllll!!!!!!!! Lolz! Does it actually work? I'm using it now. Wait & watch.. After about a month will let you know. Btw, we are the pretty (ah, just bragging!) Chennai bloggers!!! 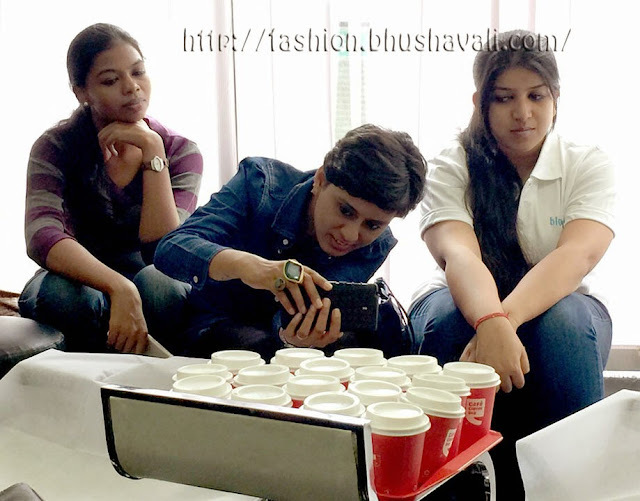 And the inquisite me, clicking the CCD cups with my Oneplus One!!! P.S: Nioxin is now in India. I am experiencing the magic of Nioxin in association with BlogAdda. 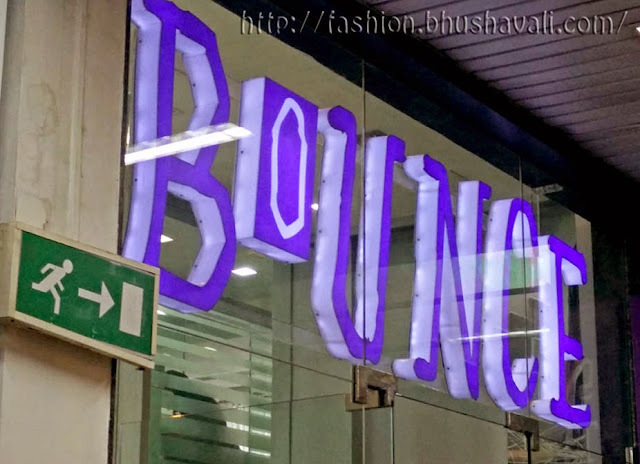 The experience & product were gifted by the company for reviewing purpose, in collaboration with Blogadda, however the opinions are of my own experience and are this post does not to advertise the product. Thanks LP. It was awesome to meet you guys! Follow up post it up! Sounds great, can't wait to read your followup! Indeed. It was a super fun time!